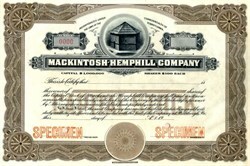 Beautifully engraved specimen certificate from the Mackintosh-Hemphill Company printed around 1920. This historic document was printed by the Republic Banknote Company and has an ornate border around it with a vignette of a small pentagon-shaped building. The Mackintosh-Hemphill Company was organized in 1803, when its founders built the first foundry west of the Alleghenies. 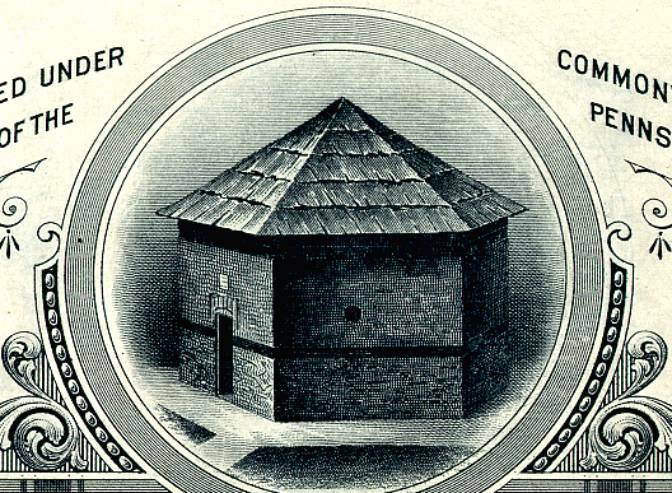 It had built almost a thousand mills for the rolling of steel, zinc, lead, tinfoil, aluminum, and copper.